Make sure you select the correct financial institution by checking the URL listed under each name. Remove the connection and re-connect the account(s). This often gets confused with the Disconnect button, which is different. And don't worry, you won't need to remove the account, just the connection! There's a lot going on under the hood to get you connected, so issues often clear up on their own within a few hours. If you've already tried removing and re-adding the connection and still haven't been able to connect for 24 hours, send us a message at [email protected]! We'll work with our Direct Import partner to get you squared away. that you've already tried removing the connection so we don't ask you to do that! New transactions should be available to import no more than 48 hours after they clear your bank—with one exception. Most connections to tracking accounts such as investment and loan accounts will only import a starting balance. Manual adjustments will need to be made after that point to keep your balance up-to-date. When you see a New Transactions Banner at the top of your account register, you'll know you have transactions ready to import! Tap on the Banner and transactions will flow in. For all other account types, make sure you're logged in under the primary account holder's credentials. If you are, and transactions have cleared your bank more than 48 hours ago, but are still not importing, send us a message! the date and amount of a few recently cleared transactions that haven't imported. 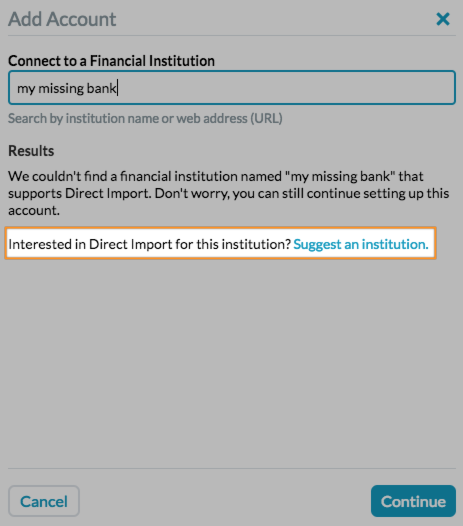 If your Direct Import connection has been working just fine, but all of a sudden stopped importing transactions, the first thing to do is log into your financial institution's website. There might be a roadblock type of alert you need to acknowledge—or their site might be down. 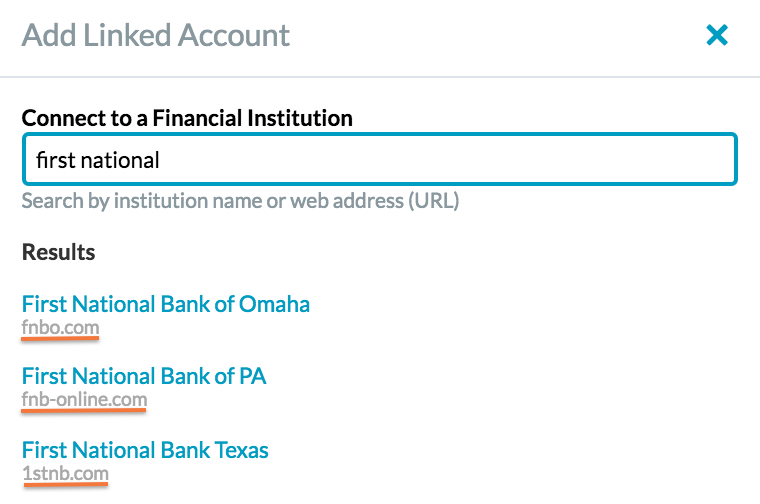 If there isn't an issue on the status page, and you can log in to your financial institution's website and navigate to your accounts just fine, the next step is to remove the connection and then reconnect your account(s). If you still can't connect after 48 hours, send us a message! Be sure to include the name of your bank and the URL for their login page – and let us know you already tried removing the connection! In effort to provide a more reliable Direct Import experience (and faster customer support! ), we are currently supporting a smaller number of financial institutions than we have in the past – especially those outside the US or Canada. After filling out the form, you can choose to add a Unlinked account. You'll still be able to import transactions from a file downloaded from your bank as a quick and easy alternative to Direct Import, and of course our mobile apps—available on both Android and iOS—for easy on-the-go entry! Even with Direct Import, it's a great practice to enter transactions right away, instead of waiting for them to clear the bank and import into YNAB – that way you can always trust your budget!